Schools out, so if you haven't already got a busy summer planned, it's time to get thinking of some great ways to entertain the kids! Covering the length and breadth of the country, there are some brilliant days out and adventures to discover. We've selected some of our favourites to share with you here. 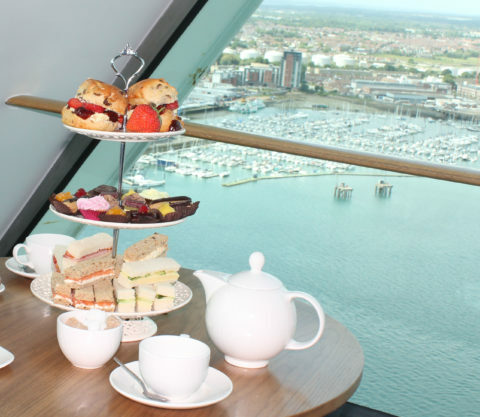 Enjoy afternoon tea on View Deck 2 of Portsmouth's Spinnaker Tower. Take in the spectacular views of the coast whilst enjoying delicious sandwiches and cakes. Why not make a day or a weekend of it and enjoy the fantastic Naval and maritime heritage of Portsmouth along with its museums and miles of beautiful seafront. Find out more about High Tea at the Spinnaker Tower, here. The world's largest subterranean playground opened this summer in the heart of Snowdonia National Park. Set within a disused slate cavern, this is a big adventure with a difference! Fitted out with bouncy nets and slides it is lit with a technicolour light display, making this a 'must-do' for all you thrill seekers! Find out more about Bounce Below, here. The World Owl Centre™ is set within the gardens of Muncaster Castle, near the town of Ravenglass, in the heart of the western Lakes. Open every day through the summer, entry to the Owl Centre is included with your gardens ticket. Here you will find a diverse collection of owls ranging from the bizarre to the familiar. Don't miss Meet The Birds every day at 2.30pm during the summer season. Find out more about The World Owl Centre™ at Muncaster Castle, here. This beautiful part of the Welsh coastline is home to bottle-nose dolphins, porpoises, seals and birds. Take a boat trip of the bay to learn about the ecology of our coastline and, hopefully, spot some exciting wildlife! Find out more about Cardigan Bay Boat Trips, here. A highly successful children's interactive science museum which tells the story of the astounding science surrounding the past, present and future of our planet. 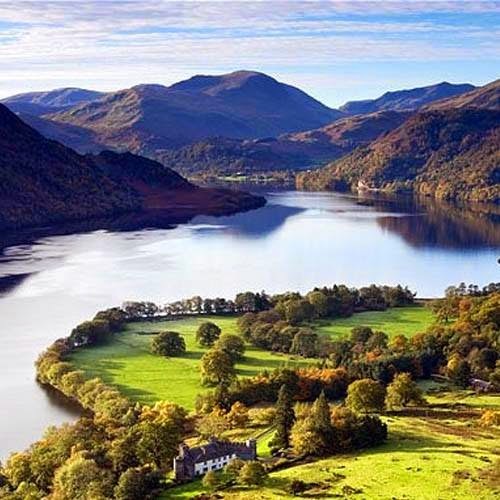 Set in one of Britain's most beautiful cities, this would be an ideal weekend break for those who live further away. Learn more about Dynamic Earth, here. 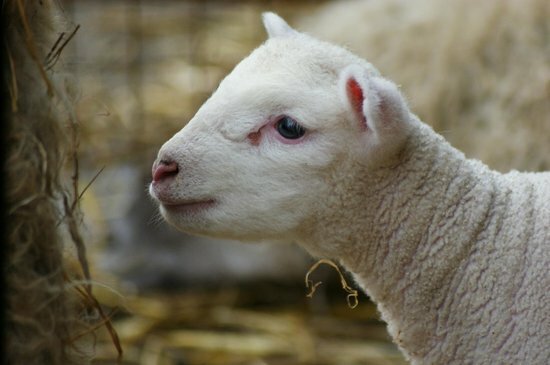 If you're in London but want to give the children a taste of the countryside, then Deen City Farm is just what you're looking for! An urban farm with an educational focus, Deen Farm teaches visitors about the rural environment and farming/ food production. Riding lessons are also available. You can learn more about Deen City Farm, here. Plymouth: British Firework Championships August 12/13. 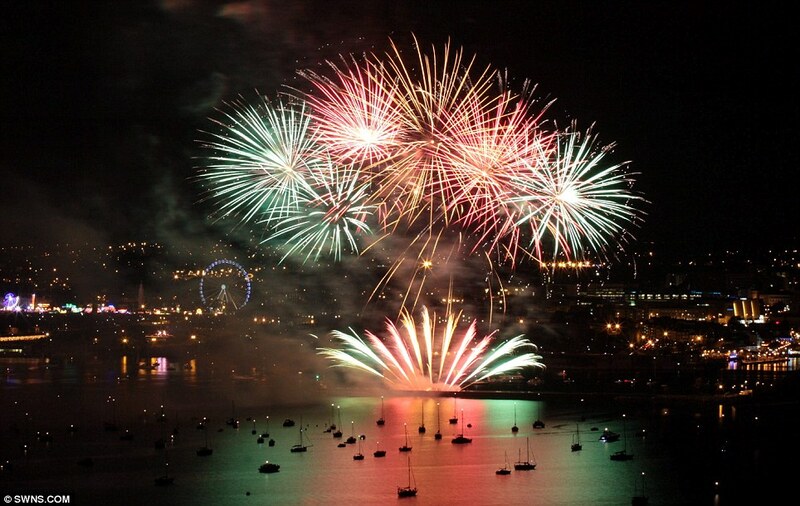 Plymouth was chosen as the location for the British Fireworks Championships because it provides a natural amphitheatre with a stunning backdrop and numerous points for spectators to watch from around the harbour. This August, the skies of Plymouth will again be lit up in a pyrotechnic display guaranteed to draw visitors from far and wide into the city. Find out more about the British Fireworks Championships, here. Open 7 days a week, Wookey Hole is a wonderful and unique attraction in Somerset made up of beautiful caves, underground rivers, mystery and ancient folklore. Find out more about Wookey Hole, here. Visiting the Isle of Wight? 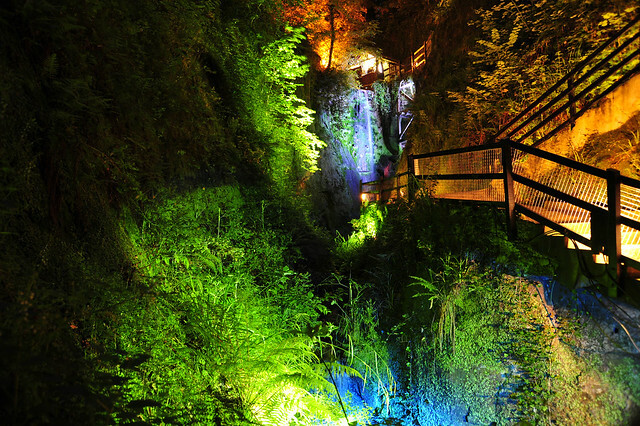 Don't miss Shanklin Chine, a unique and tranquil leafy gorge, first opened in 1817. The winding woodlandwith its steep sides is an enchanting place of rare plants, wildlife and waterfalls. Find out more about Shanklin Chine, here. This week, people up and down the country have been taking part in events to mark National Countryside Week. Running from Monday July 14th to Sunday, July 20th this awareness week is organised by The Prince's Countryside Fund and this year has encouraged people to 'Walk A Country Mile' either alone or as part of a group and tweet their pictures, selfies (or 'walkies) and videos to raise awareness of the fragile beauty of our countryside and the hard work of the dedicated people who preserve it for future generations. The scheme already has celebrity backing, from Alex James who has posted this video explaining the importance of appreciation for our countryside and rural workers. Donations given as part of National Countryside Week (and to The Prince's Countryside Fund at any time) will go towards countryside projects such as apprenticeships for budding hill farmers, training for young people to work in the rural economy, community transport schemes in isolated areas and educating school children about food production and the importance of the countryside. If you would like to walk your own country mile you can find some great walking route ideas on The Prince's Country Fund website. Please don't forget about the countryside code! You can help to preserve our natural beauty by observing the code's simple points. Also, remember to tweet your pictures using hashtag #walkies to raise awareness amongst others and, if you wish, text PCF to 70300 to make a £3 donation to the fund. From www.telegraph.co.uk for National Countryside Week. Church Stretton and The Carding Mill Valley in Shropshire. 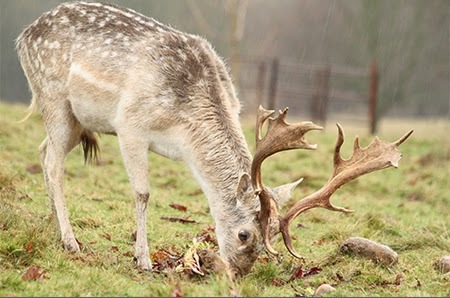 Taken by one of the bestinthecountry.co.uk team at Attingham Park, Shrops. For SS14, menswear takes a walk on the wild side. For anyone with even the slightest interest in keeping up with current fashion trends, it would have been difficult to notice the earthy, natural tones and utilitarian styles on the menswear SS14 catwalks. Reminiscent of Indiana Jones and Out of Africa, the Modern Safari trend celebrates heritage combined with practical, comfortable but smart fashion. Many summer trends can seem to casual for those who prefer a more classic, smart look. Summer fashion should be light, breathable, effortless and stylish; and this is where modern safari steps in. Dusty, sandy shades are the staple of this look with khaki, beige, cream and white also being on trend for this look and ideal for keeping cool in the heat. These staple colours are complimented by bolder tones such as terracotta, earthy reds and sunset yellows. Traditionally an important piece of British Military uniform for soldiers serving in Africa, the safari, or bush jacket is a utility style jacket designed for action and high temperatures. Typically waist length and featuring four pockets, a waistband and epaulettes whilst being lightweight and allowing for ease of movement and providing additional warmth for chilly evenings. 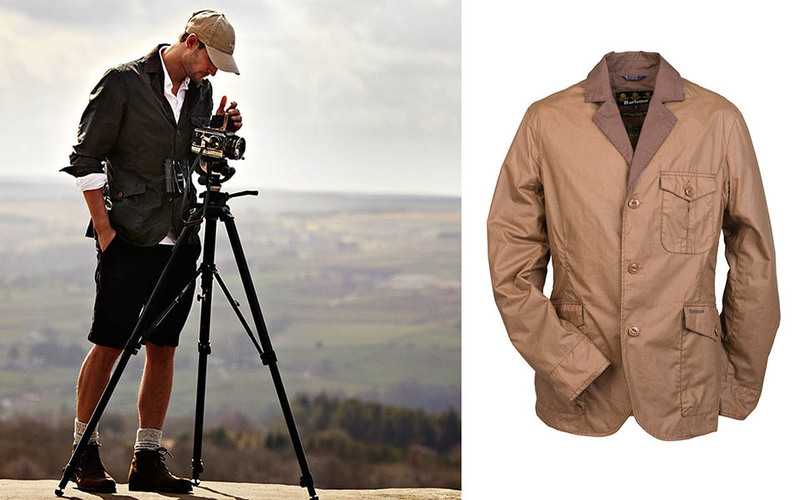 For the modern safari look the jacket has been modified slightly; the pockets remain largely intact, although you may also find the look recreated with three or two pockets. The waistband has largely disappeared as it would probably prove unpopular with most men, although a slightly cinched waist is a standard way to create the original effect and give shape and definition. You will find most safari jackets in khaki colours, cream, beige and browns. A shirt would be the classic choice, but add a modern twist by opting for a short sleeve option. White and cream are ideal colours to look for as they work well with this look and are versatile enough to see you through many more summers. The midlayers would however be a chance to experiment with those bolder colours we mentioned earlier. A tee-shirt would be a more casual choice for weekends, and an easy way to incorporate a splash of bold colour into the outfit. For a smarter, weekday look a cool linen or cotton shirt in white or cream shades will be ideal. If you prefer to wear a long sleeve shirt try rolling the sleeves up slightly for a more rugged, 'outback explorer' look. Barbour Alber Shirt and Hurlingham Polo Shirt. Beige and khaki coloured legwear is a must for this look. Above the knee shorts are ideal to give a strong nod to the origins of the look, but slim fit trousers and chinos are also perfect for creating a smarter style. For a casual look opt for jeans. Unsurprisingly perhaps, the Desert Boot is the footwear of choice for this look. Choose a quality suede pair in dark brown, beige or mahogany shades. If you feel that boots would be too hot, Derby shoes can be worked easily into this look. Barbour Ledger Desert Boot and Cottam Derby Shoe. Stay cool in the shade with a straw or outback hat in colours that compliment your outfit. A leather cross shoulder or messenger bag is an ideal finishing touch to this outfit, look for lightweight and practical options that are easy to carry. Summer dressing in the UK can be a tricky thing to perfect. Waking up to glorious sunshine doesn't immediately give the green light to shorts, vest tops and sandals. We are plagued by thoughts of 'will it still be sunny an hour from now?' and 'is there rain in the forecast?' so on and so forth. This is where clever layering becomes a must. Done with a little thought it is easy to create a chic, comfortable look that will see you smoothly from sun up to sun down and everything inbetween. First of all, create a good base layer with a vest top, shirt or tee-shirt and trousers, shorts or a skirt. Essential items that are light enough for the heat, but simple enough to build on. If wearing a casual vest or tee, smarten it up with a light blazer - this is also a good opportunity to experiment with colour blocking, for example wearing a red vest top with a blue blazer to create contrast and interest. For a more casual look pair a vest or tee with a light summer cardigan. Shown are; Joules Mimi Vest in Melon; Dunmere Jacket and Hepburn Trousers in Navy. If you prefer not to wear a jacket and are looking for a more casual look, try layering with a shirt over your vest top or tee-shirt. This might work especially well for men, with a shirt layered over a tee and loosely buttoned, but could work well for ladies who would like to casually layer a shirt over a vest - if you're feeling especially bohemian, you can try tying the bottom of the shirt rather than buttoning. This is a good alternative to wearing a cardigan over a base layer. Try mixing shades of blue this year. Shown is Jack Murphy's Mark Shirt and Barbour's Cross Flags Tee. Mix up patterns for a bold look. Such as Joules Skipperton Tee and Wilson Shirt. Wear a light summer vest with a shirt for a relaxed look and alternative to cardigans. Shown are Joules Maywell Shirt, Mimi Vest and Elspeth Shorts. Light knitwear is perfect for summer, especially on cooler summer evenings. A thin knit sweater is a perfect piece to wear over a shirt or vest to keep out the evening chill. Style conscious chaps can experiment with contrasting top and lower halves by wearing a knit sweater with shorts. Combining a button up shirt with a light sweater and shorts creates a contrast which works surprisingly well. Team with deck shoes for a complete summer chic look.